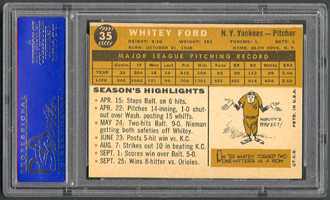 Whitey Ford's winning percentage of .690 is the best of any 200-game winner. The Yankee pitcher led the AL in wins three times and ERA twice. 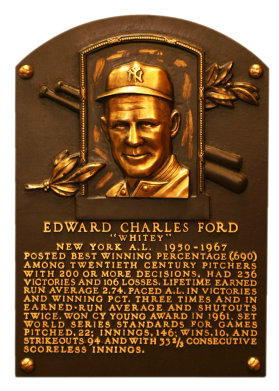 His 25-4 record in 1961 earned him a Cy Young Award. "The Chairman of the Board" was 236-106 with a 2.75 ERA and 156 complete games. 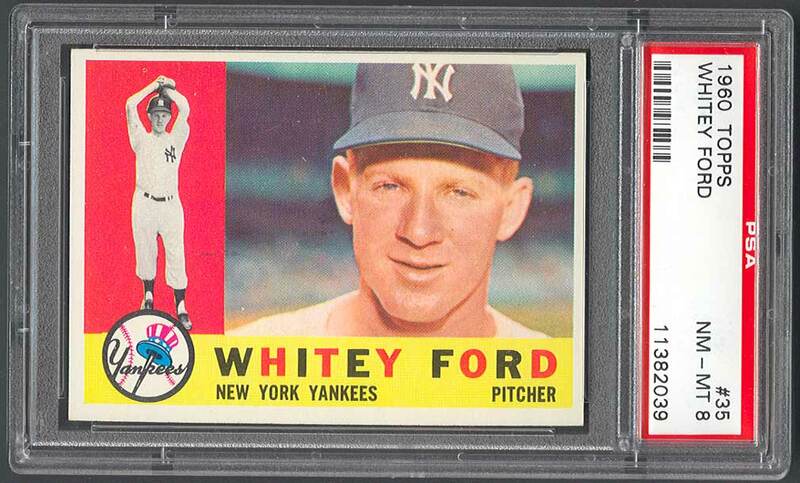 Comments: I first purchased a 1960 Topps PSA 8 in May, 2000 off the Vintage Sports Investments, Inc. website along with a group of 1960 Fleer PSA 8 HOF tribute cards. The card was sold to a local sports trainer and Yankee fan (crazy story - same dude, no kidding) along with a bunch of other vintage cards in March, 2001. In June, 2003 the same guy called me and decided to sell his whole collection. 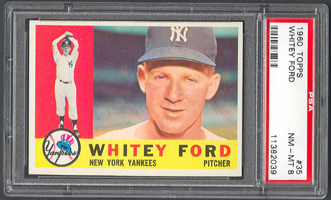 I ended up buying the '60 Topps Ford back from him along with a bunch of other cards he purchased from me (including several of my original HOF portraits 1911 T205 Mathewson PSA 6, 1967 Topps Mantle PSA 8, 1967 Topps Mays PSA 8, and a 1964 Topps Koufax PSA 8). I sold the '60 Ford to another buyer via my site. So, I purchased another replacement PSA 8 '60 Topps card via eBay in June, 2003. I replaced it with a 1958 Topps PSA 8 but that didn't stick. 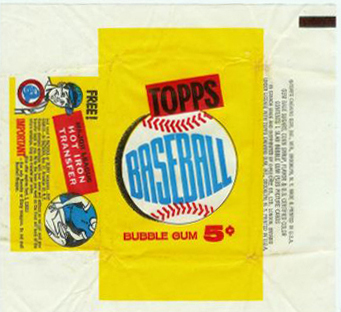 I already had a 1958 Topps Aaron and I preferred the '60 Topps card. So, I picked up yet another replacement - the example shown above on eBay in September, 2006 from Herb Watson (snider5). 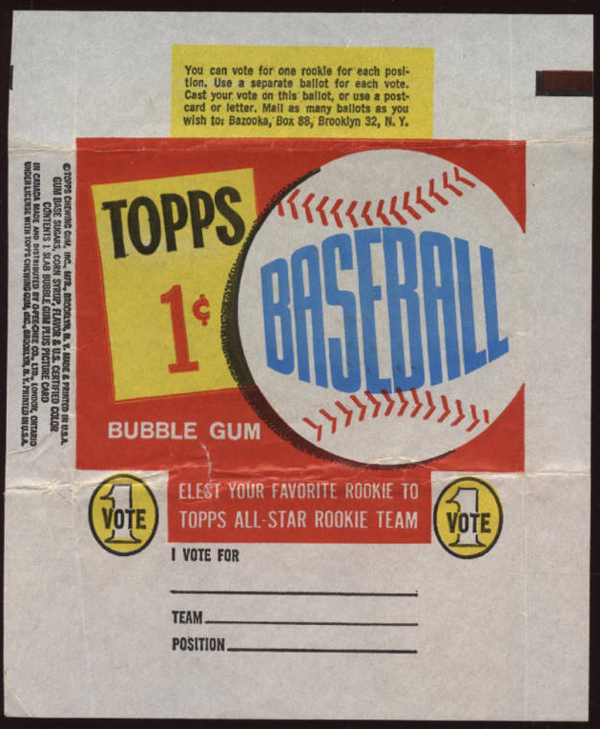 Description: In 1960, Topps opted for a horiontal format in standard 3-1/2" X 2-1/2" size. Basic fronts have a large color portrait or pose at right and black-and-white action photograph at left. After a one-year hiatus, backs returned to the use of lifetime statistics along with a cartoon and short career summary or previous season highlights.